Hungary has unveiled a monument on the site where Russian soldiers of the two world wars are buried. Moscow praised the initiative which signaled the “high dynamic of our cooperation,” bolstering already strong ties between the two nations. The 'Angel of Peace' monument was unveiled at a military cemetery in the town of Esztergom on Friday. Both Russian imperial army soldiers, who died in prisoner of war camps during World War I and Soviet soldiers, killed during liberation of Hungary from Nazis in WWII, are buried there. Russia’s Ambassador to Hungary Vladimir Sergeev said it was “an important part of a big cooperation” between the two countries. “It is very symbolic that the monument was opened on the eve of Russian president's visit to Hungary which proves once again the high level and high dynamic of our cooperation," the Ambassador said during the unveiling ceremony. 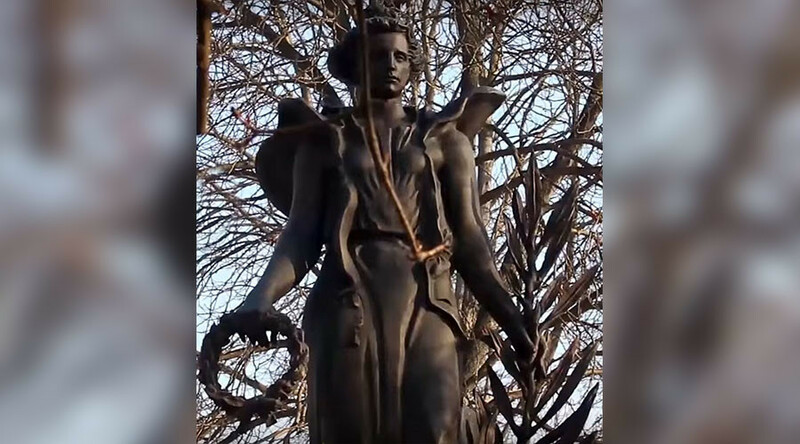 The sculpture of the 'Angel of Peace', holding a wreath and a laurel branch was designed by Russian artist Vladimir Surovtsev. Its engraved with Hungarian and Russian texts lamenting the loss of the armies. The Soviet section of the military cemetery was restored late 2016 by the activists from a Russian public ‘Peacekeepers and Peace’ association, the Russian embassy in Hungary, with active cooperation of the the Hungarian town’s authorities. “This situation now in Hungary is quite unique in Eastern Europe and shows complete turnaround in relations between Hungary and Russia,” Martin McCauley, historian and Russian analyst, told RT. ”Memorials to the Red Army, which after all liberated eastern Europe, liberated Hungary from the Nazis, they were demolished," McCauley noted, adding soviet troops were often portrayed as "occupiers" and not as "liberators." The new monument in Hungary "is a step forward in closing the bad days of relationship [with Hungary] and bringing forward very very good days," the historian stressed. Last year, Latvia destroyed a monument in the town of Limbazi, commemorating fallen Soviet sailors, who died in a battle for the town in 1941. 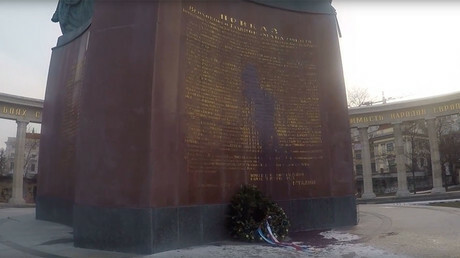 Latvia’s parliament have also considered a “public initiative” to demolish the Monument to the Liberators of Riga in order to give the square a “historic look.” Riga’s mayor, Nils Usakovs, described the proposal as “stupidity of universal scale,” and the plan failed. Poland demolished a monument of Ivan Chernyahovskiy in the town of Pieniężno, where the youngest WWII era Soviet General was mortally wounded in 1945. Poland’s parliament is mulling law amendments to prohibit “communism propaganda or any other totalitarian regime promotion.” If such a law is passed, all the remaining Soviet monuments in the country could be demolished.